Although the European Commission has definitely asked Hungary to postpone a reduction of VAT on provision of internet connections, the government is going ahead with its plan. The government estimates that the reduction will result in an 8-10 percent decrease in the price of internet for Hungarians. (Today, the average price of internet monthly is between USD 12-20, depending on bandwidth and provider). In early June, the Hungarian Parliament approved reduction of the VAT rate on internet services from 27% to 18% starting January 1, as part of a package of tax changes for next year. Following the decision, EU Commissioner for Economic and Financial Affairs Pierre Moscovici sent a letter to Hungarian Minister of National Economy Mihály Varga, asking him to postpone the implementation. Moscovici wrote that he supported the government’s intention to foster digitalization, but said current EU rules do not allow the government to reduce the VAT on internet subscriptions. He added that the European Commission aims to change the related directive and introduce more flexible regulations, but these changes will materialize later than expected, so he requested a delay in the reduction. At a press conference in July, state undersecretary responsible for government communication Bence Tuzson said Hungary will fight further for the VAT reduction to take place as planned at the start of 2017. Tamás Deutsch, the Prime Ministerʼs commissioner in charge of the internet, added that Hungary has well-founded arguments for the introduction of the reduced VAT rate. He said he was confident that the government can convince Brussels at further talks. The Commission said internet subscriptions are not listed among products and services that could have a preferential VAT rate in a supplement to the EU VAT directive, Deutsch said. Tuzson also added that the EUʼs sanction for ignoring the request could be an infringement procedure. 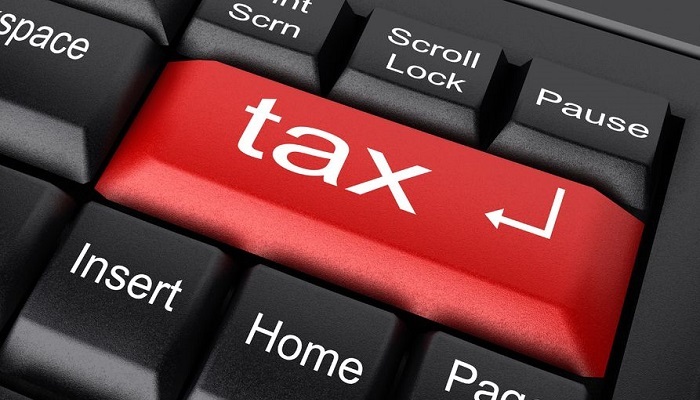 Moreover, the Ministry of National Economy is also working on a proposal to tax multinational internet companies such as Google and Facebook, already from next year. The government insists that these companies pay “zero” tax after their activities, while in reality they should be paying “billions of forints”. It is still not clear how much corporate income tax Google and Facebook would have to pay. The tax on advertising revenues was introduced by Prime Minister Viktor Orbán in June 2014. At first, it applied a higher rate of charges exclusively to RTL Group, an independent media company owned by Germany-based Bertelsmann. After criticism from both the European Commission and major media outlets the government backed down, and in 2015 the tax was reduced to 5.3 per cent on revenue over €330,000, while the lower rate was determined to be zero.